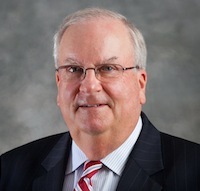 Larry Felts, CPA, has joined the Nashville office of Decosimo as assurance principal. He has more than 30 years of accounting and management experience, including serving as an office managing principal with two Big Four international accounting firms. Felts’ experience with both public and private company clients extends into industries such as manufacturing and distribution, higher education, financial services, retail, government and technology. His significant experience with financial institutions has ranged from major public clients to many Tennessee community banks, credit unions and savings banks. He has extensive experience in SEC services, including initial and secondary public offerings, periodic reporting, and advisory services for client and audit committees. He is also experienced in performing employee benefit plan audits. Felts is a member of the American Institute of Certified Public Accountants, as well as the Tennessee Society of Certified Public Accountants (TSCPA), where he has served on the Financial Institutions and Sports and Entertainment Committees. With the addition of Felts, Decosimo has 38 active principals across the firm’s nine locations in Tennessee, Georgia, Alabama, Ohio and the Cayman Islands. Decosimo is a nationally recognized firm, perennially ranked by Accounting Today as a Top 100 accounting and business advisory services firm. Additionally, Decosimo is an independent firm associated with Moore Stephens International Limited to provide clients with access to a depth of resources and expertise comparable to Big Four accounting firms.